Viet grew up in Vietnam and emigrated to the US in 2007 seeking a better life. He worked in the wireless communication and sensing lab from Fall 2016 through Spring 2017 as part of the Undergraduate Research Scholars (URS) Program. This was his first introduction to the wider world and research and thanks to this experience, he has decided to pursue a degree in Electrical and Computer Engineering here at UW-Madison. 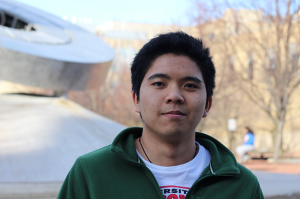 Outside of academic activities, he enjoys tinkering with his computer, writing code, and hiking.